The grounds contain both Blackrock College and the Willow Park area on the northern side of the campus. Blackrock College consists mainly of two buildings, the Junior Cycle and Transition Year Building and the St Paul’s Wing (opened 2007) which is the Senior Cycle Building. These two buildings are connected via the central St. Patricks Corridor and the entrance corridor. Several other wings contain community facilities as well as other classrooms and subject specific rooms. 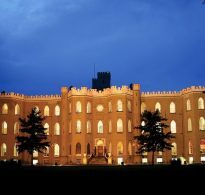 Apart from classrooms and three study halls, the College contains state-of-the-art Science Laboratories, a Woodwork Room, a Radio Studio, a Computer Room, an Art Room, a Choir Room, a Multimedia LCVP room and a Home Economics kitchen. The old Library has been modernised into a new Creative Arts & Digital Learning Centre to meet the needs of the modern curriculum. The quadrangle or “quad” is a large green area surrounded by the St. Paul’s Senior School Wing, the Chapel, St. Mary’s Corridor and Jubilee Hall. 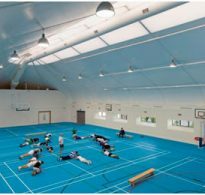 The campus is approximately 54 acres and, in addition to the new Sports Hall which opened in 2012, contains nine rugby pitches, a cricket lawn, an athletics track, an indoor swimming pool in Blackrock College and Willow Park and six tennis courts. The College also contains a Refectory, Chapel, and a Performing Arts space in Jubilee Hall which hosts student-run dramatic productions.